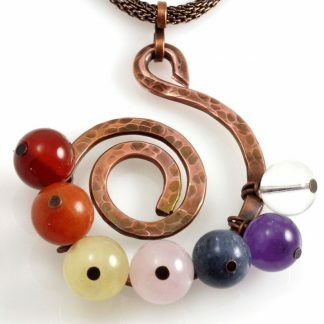 This Spiral Copper Chakra Pendant was designed with thick pure Copper wire, hand hammered and slightly oxidized for an antique finish, and empowered with 10mm Gemstone beads that resonate with each of your Chakras or energy centers: Carnelian, Red Aventurine, Yellow Jade, Rose Quartz, Blue Bamboo Coral, Amethyst and Clear Quartz. 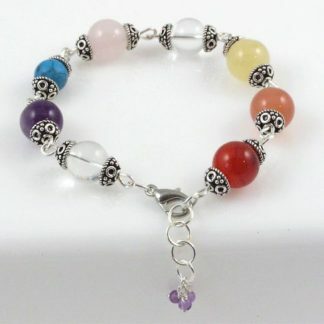 Energize all your chakras with this original, handmade design! 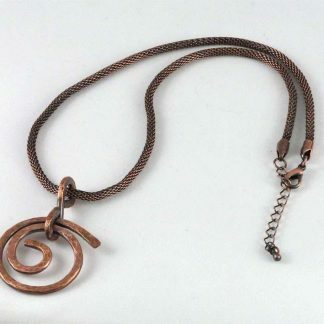 The pendant measures 2-3/4 inches by 2 inches and comes ready to wear with an antique finish Copper mesh chain. 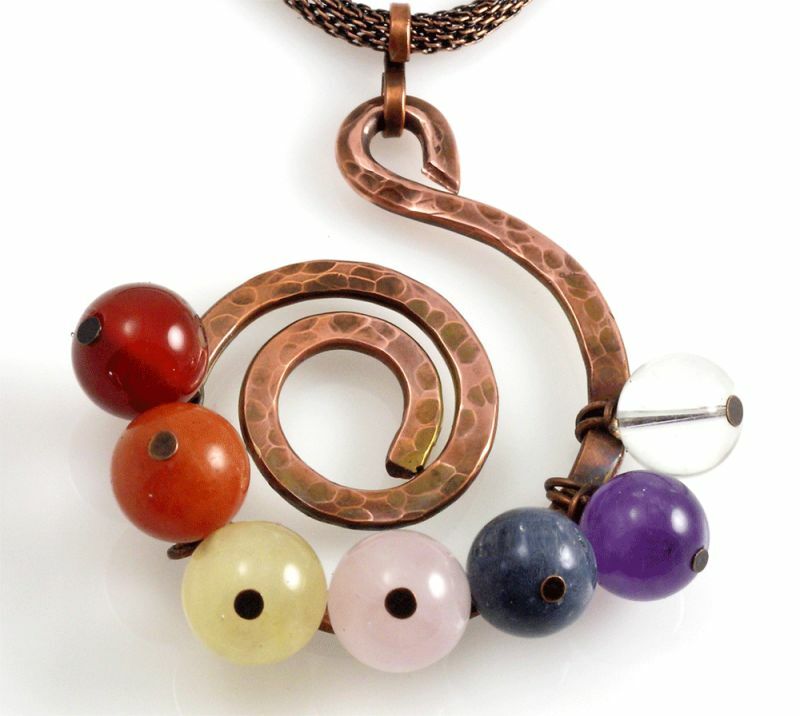 Copper is a malleable metal with a cubic crystalline structure. 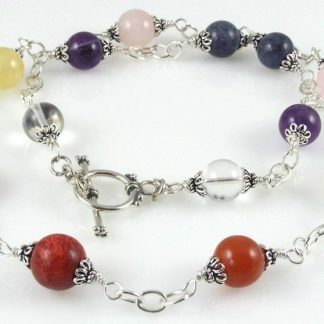 It reflects red and orange light and absorbs other frequencies in the visible spectrum, so it reflects beautiful reddish hues. It is well known that copper is a great electrical and heat conductor, so it will promote the energy flow in your whole body.